Teachers are expressing frustration that focusing on behavior just isn't enough - after all, teachers are interested in self-regulation because of the expectation that students will learn more. And they will, as teachers move beyond teaching students to self-regulate behaviors to teaching them how to manage their learning. What is needed? A clear, intentional focus on learning. What does it look like? Here's an example from a second grade class. Ms M. posts a sample of work. Together the students and teacher talk about what makes it a quality piece of work. The ideas are recorded. Then, as students work, they check their work against the posted sample. Students know the learning destination. They have a sample to help them understand quality. 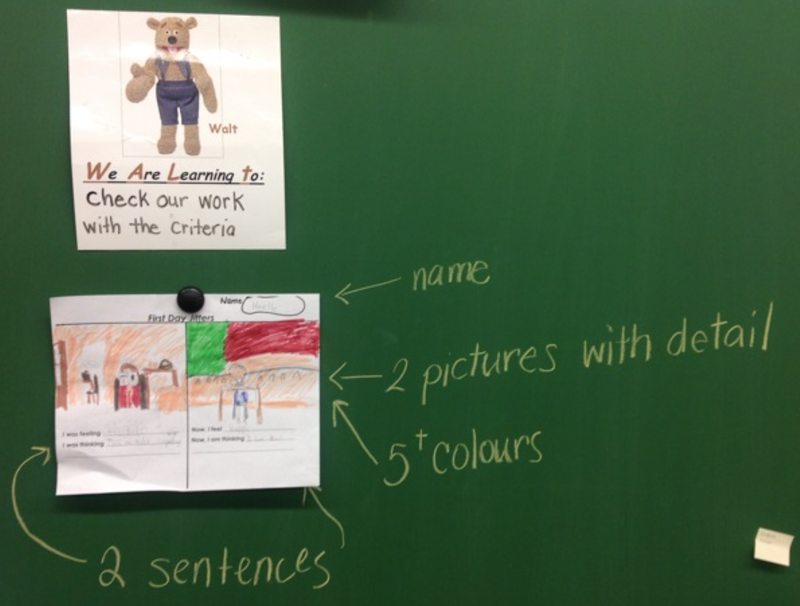 The students were part of co-constructing success criteria. And now the students can start to produce their own work sample. And, as they work, they can check their work against the sample (self-assessment). They can talk about what is working in their work with their peers (peer assessment). They can figure out what they might do more of or less of (next steps goal setting). What are they doing? They are learning. They are practicing. They are improving. And, as students work with the teacher over time, more teaching takes place. Students learn more about quality and how to next those next steps to move from where they are to where they might be. In other words, students will be able to "be the boss" of their learning. They will be able to self-regulate their own learning. How did they get to be their own boss? 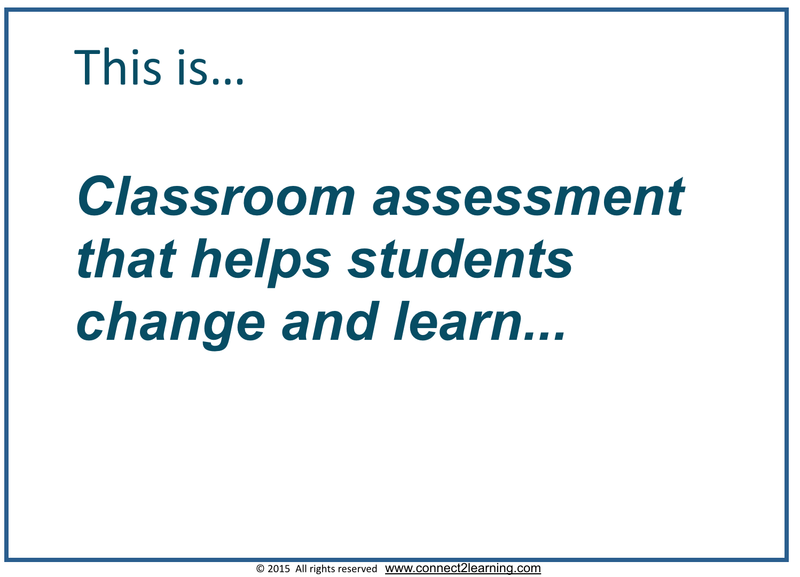 Through using assessment in the service of learning! Articulating strategies to use next time. Simple. Powerful. It is self-regulation in support of learning. Think about it - the students know the learning destination. 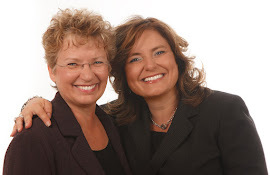 They have help to understand quality and to frame a strategy in their own words. They get to work and, as they receive feedback, they record it themselves - they put it in their own words. And, as they work, they have a growing collection of ideas to improve their work the next time. That's it! Helping students be the boss of their own learning.